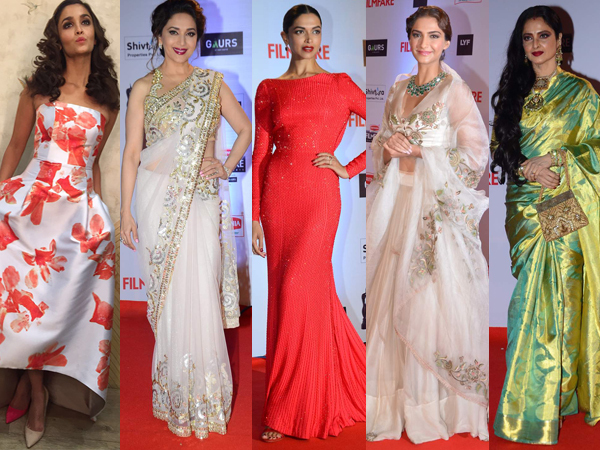 Acing red carpet fashion isn’t everyone’s cup of tea but when it comes to the Filmfare Awards, Bollywood divas have got trends on the tips of their fingers and they slay every single time. As we’re two days away from the starry and glitzy 62nd Jio Filmfare Awards, we take you through last year’s high-on-couture fashion report. From gorgeous gowns, scintillating sarees and interesting cuts and flairs, here are the top 10 looks from 2016’s star-studded do..